Steinhafels does not like to stay hidden behind the doors of its stores across the region. We truly strive to become part of the communities we serve. 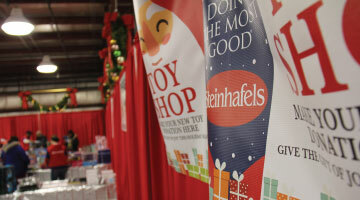 Each year, Steinhafels partners with more than 100 local nonprofit organizations on various projects. The company is proud to say that many of its employees take part in company-wide charity events. We support our local communities through: Employees’ interests, company-supported organizations, donating the Steinhafels Community Room to not for profit groups, and holding blood drives--just to name a few! We’re so excited we could help some local heroes have a comfortable place to relax after serving the community. Flight For Life is now offering advanced life support and critical care ground service in the Kenosha/Racine and Waukesha areas. The Steinhafels Superstore in Kenosha heard about this, and donated some mattresses and recliners to the new ground care facility in that area. Starting the new ground service is just one way that as a non-profit, FFL is dedicated to serving patients, referring hospitals, first responder agencies, and local communities. Check out this VIDEO BLOG of Delivery Day! 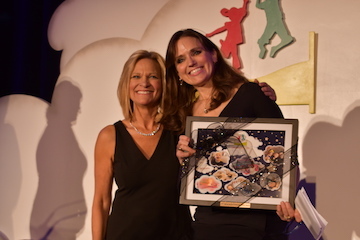 Steinhafels is proud to be the recipient of the Special Spaces 2019 Community Partnership Award. 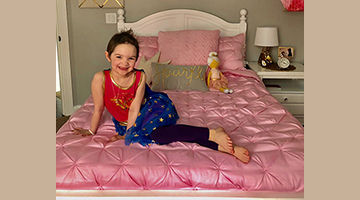 Special Spaces Wisconsin helps to create dream bedrooms for children with life-threatening conditions. Steinhafels has partnered with Special Spaces since 2012. The Steinhafels mission is to help people create the homes of their dreams, so Special Spaces is a perfect fit. In a typical interior design project, the living room or family room is usually the focal point of the redesign. But in the case of Special Spaces, the bedroom is the crown jewel of the project! 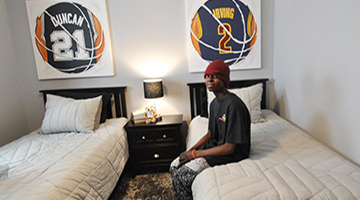 We get to help furnish bedrooms that are true escapes and safe spaces for kids who just want to be kids. Steinhafels hosts an annual blood drive at its Waukesha location to encourage employees and the community to give the gift of life by donating blood. The Blood Center of Wisconsin provides all the blood needed by patients in more than 50 hospitals and 29 counties – including all community hospitals in southeastern Wisconsin. Every blood donation has the potential to save up to THREE lives! Steinhafels takes great pride in partnering with local organizations that are truly making a difference--in both the local community, and abroad. Best Buddies International is a nonprofit 501(c)(3) organization dedicated to establishing a global volunteer movement that creates opportunities for one-to-one friendships, integrated employment, and leadership development for people with intellectual and developmental disabilities (IDD). 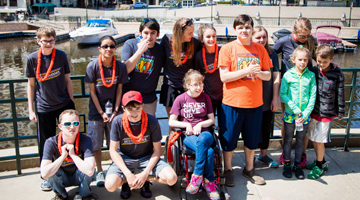 Best Buddies Wisconsin continues to expand, and includes dozens of school chapters across the area. Steinhafels is proud to now sponsor six different schools by covering their annual chapter dues. Each school was carefully selected to provide the greatest opportunity for the Steinhafels stores in each of those communities to interact and engage with their sponsored school. We look forward to growing this partnership... by taking part in Best Buddies events, and continuing to promote inclusion in our business and across the community. Check out more about Best Buddies HERE. Steinhafels is excited about our partnership with ACTS Housing in Milwaukee. Recently ACTS celebrated its 2,500th homeowner. We were so excited to be there as you can see in this VIDEO BLOG. Today's TMJ4 News was also onhand for the event, and posted this STORY. 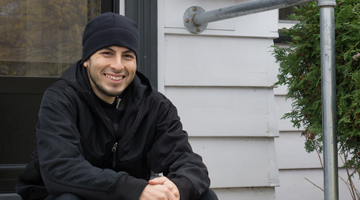 ACTS Housing helps prospective homeowners in the inner city rehab vacant homes, and become homeowners. Steinhafels is committed to helping people create the homes of their dreams, so it seemed like a perfect union! We worked with OnMilwaukee.com to create a #MilwaukeeMeansHome contest, where readers sent in pictures of what home means to them. Each winner received a $500 gift certificate to Steinhafels... along with an ACTS new homeowner. We want to help all people take steps to making their house truly a HOME!! Check out the ARTICLE at OnMilwaukee.com. Steinhafels is proud to team up with the Salvation Army and CBS 58 every year to collect toys for local children in need. All toys donated are included in the “Toy Shop,” which utilizes hundreds of volunteers to sort toys and assist parents with their holiday shopping. Organizers are especially in need of toys for older children, ages 8-15, who are often overlooked during the holidays. Thank you to all of our generous shoppers who donated! Click HERE to watch a video montage of the "Day of Giving" Toy Drive. At Steinhafels, we love it when our actual furniture can make a difference and play a role in a special event. That was the case with Relay For Life events throughout Southeast Wisconsin this summer! The American Cancer Society approached us and asked for help. We all brainstormed, and came up with the "Purple Survivor Couch" idea. The purple couch traveled to several relays, and served as a symbol of survival and hope. In addition to being a comfy spot to pop a squat during relays, the purple couch was also part of a giveaway to help raise money for Relay. The lucky winner was announced at the big Kenosha Relay for Life. Childhood cancer survivor Nancy Brey is now the proud owner of the purple couch! Steinhafels is a major sponsor of "Race for the Cure" - Breast Cancer Research. We participate in Milwaukee and Madison, where we are founding corporate sponsors. 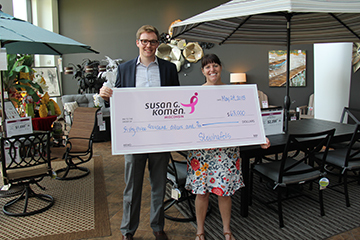 In 2018 Steinhafels donated $63,000 to Susan G. Komen, thanks to the generosity of our customers during our annual Breast Cancer Sale. 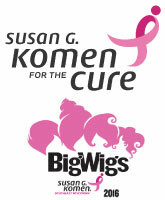 Over the the years, we've donated a total of about $350,000 to Komen and the fight against breast cancer. We've also taken part in Komen's BigWigs campaign, which engages local corporate and community leaders as representatives in the fight against breast cancer. During the 4 week campaign, each BigWig will raise or give a minimum of $5,000, which will be used to ensure access to essential breast health services and education programs, and support research to find the cures for breast cancer. Through this program, 75% of funds raised remain in local communities to help fund local breast cancer initiatives. 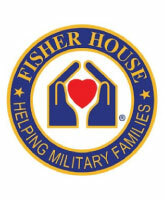 The Fisher House Foundation provides a network of comfort homes, where military and veterans’ families can stay at no cost while a loved one is receiving treatment. There are currently more than 75 houses in operation on the grounds of military and VA medical facilities throughout the United States, as well as Germany and the United Kingdom. The program began in 1990. Fisher House Wisconsin officially opened its doors in April 2016. Steinhafels is honored to be an original partner on this project. Over the years, we have donated more than $250,000 towards providing a 'home away from home' for military families that have a loved one receiving treatment at the the Milwaukee VA Madical Center. We look forward to seeing what the future brings for local veterans and their families. 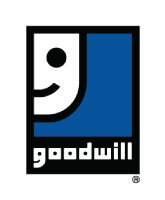 Steinhafels has been partnering with Goodwill Industries for years. Our flagship events are the Dining Room and Bedroom Trade-In events. These offer customers the chance to get FREE delivery of certain dining or bedroom purchases when they donate similar used items in exchange. We then deliver all donations to Goodwill Industries of Southeastern Wisconsin for sale in their stores and donation centers. All donated items help support Goodwill’s mission of providing training, employment, and supportive services to people with disabilities or disadvantages who seek greater independence. ACTS Housing is a Milwaukee group working to make the dream of home ownership a reality for everyone. 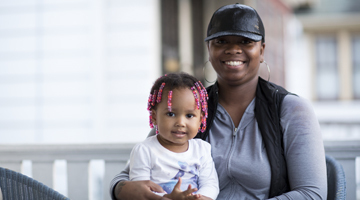 ACTS reaches out to families who have barriers preventing them from owning homes - including low income, poor credit scores, and language barriers. Partnering with ACTS seemed like a no-brainer for us here at Steinhafels, since it's also our mission to help people create the homes of their dreams. We take part in their annual "Longest Table" event, and we have also co-hosted a contest with OnMilwaukee.com that awarded gift cards to some families working with ACTS. 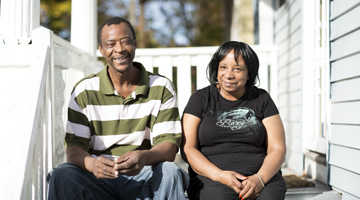 Since 1992, ACTS has helped more than 2,500 families become homeowners throughout the city. 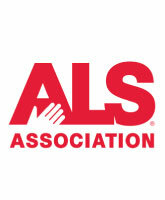 Steinhafels is proud to join in the fight against ALS, a motor neuron disorder commonly known as Lou Gehrig's disease. Each year 5,600 more Americans are diagnosed with ALS, and more than 400 Wisconsin patients are battling this debilitating disease. 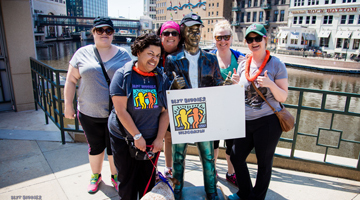 Steinhafels has taken part in the "Milwaukee Walk to Defeat ALS." The event raises hundreds of thousands of dollar for Wisconsin ALS patients and their families. 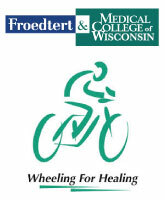 Steinhafels is a major event sponsor and currently a platinum sponsor for Community Memorial’s Wheeling for Healing annual ride. The ride benefits the Cancer Care Center at Community Memorial and celebrates cancer survivors. All proceeds from this community-wide fundraiser support the Cancer Care Center at Froedtert Health Community Memorial Hospital in Menomonee Falls, WI. 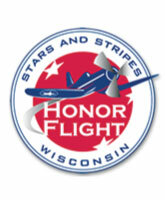 Steinhafels is proud to partner with the Journal Sentinel and Pick 'n Save in supporting the Stars and Stripes Honor Flight. The Flight honors all vets by flying World War Two, Korean War, Vietnam War and terminally ill vets to D.C. to visit their memorials. A documentary crew followed the vets and former Brewers' catcher Jonathan Lucroy on a past flight. The documentary premiered at Steinhafels in Waukesha. We are also honored to sponsor the Journal Sentinel's "Mail Call" program, which supplies letters written by community members to Honor Flight vets! Steinhafels has been associated with Meta House since 1996. 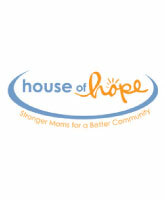 Meta House provides services for poor women with substance use disorders and their children by providing transitional living facilities, job development, both residential and non-residential treatment programs, and childcare. They help young families gain independence and live self-sufficiently. During their 20-year relationship, Steinhafels Furniture has donated furniture and accessories to Meta House totaling over $200,000. This has enabled Meta House to provide furnished apartments for dozens of families living in Meta Housing. Steinhafels is partnering with Tempur-Pedic to donate mattresses and frames to Meta House. Steinhafels is very proud to be a part of this “sleep inspired” community donation. Steinhafels has been taking part in Design For a Difference-Madison for a few years now. Steinhafels is often thought of as a Milwaukee company, but we are proud to serve the Madison, Appleton, and Northern illinois communities as well. Each area is unique, and gives our company a chance to engage with people from all walks of life and backgrounds. 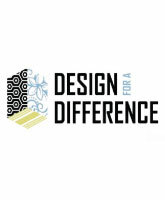 Design For a Difference is a national campaign focused on design makeovers for charities. Thanks to organizers like Floor 360 and BRAVA, Madison has been a staple city for the project for years. This year, the charity chosen is the East Madison Community Center. Past projects include The Rainbow Project, which helps children and families in crisis. Our designers oversaw a complete redesign of The Rainbow Project's "Sensory Room." Design For a Difference organizers also chose to renovate the Center For Families a few years ago. The center offers instruction, support, emergency child care, and in-home visits and resources to parents in need of some extra help. A home. It's something most of us take for granted. But for some people, finding a place to call home is a daily struggle. An organization in Green Bay is hoping to change that. Steinhafels is excited to be a partner in this fight against homelessness. We're proud to have gotten support in the past from former Packers fan favorite John Kuhn. Steinhafels helped the Ronald McDonald house with over 50 mattress sets. The Ronald McDonald house provides a "home away from home" for families of seriously ill children receiving treatment at nearby hospitals. Steinhafels partnered with Tempur-Pedic to donate mattresses and frames to Kathy's House. Kathy's House is a nonprofit organization providing affordable housing to patients of all ages and their caregivers who need to travel to Milwaukee for medical care. We are proud to be a part of this “sleep inspired” community donation. Check out this FOX 6 NEWS story! Coats for Kids is a passion project that Steinhafels has been proud to support over the years. The program is a community-wide effort to collect new and gently used coats for children in Milwaukee’s inner city. Steinhafels has always been committed to community, so it was a no brainer to team up with Salvation Army, Fox 6, and several other local businesses that work tirelessly to make sure Coats for Kids is a success. However, none of it would be possible without the fine people of Southeastern Wisconsin. Hundreds of coats are collected every year--from Fox 6 viewers, to Steinhafels customers, and anyone else who is looking for a way to give back. Every year it’s humbling to see the generosity overflowing, just like the bins holding the coats!